I established Gary Messling Piano Tuning & Service in 1998. I am the sole proprietor and all tuning, regulating, voicing and repair work is done by me. My customers include houses of worship, schools, hotels, private communities and individuals. My wife, Judy, designs all my graphic materials, including this website. When she is available, she answers the phone for the business we operate from our home office. I also maintain a small repair shop in our home for procedures requiring these facilities. On occasion, I call upon the help of other specialty technicians for specific items. When I do this, you, my customer, will be informed when the work is scheduled. This is usually for plastic keytop replacement and key re-bushing. 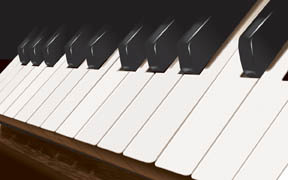 My goal is to provide top quality piano tuning and maintenance at a reasonable price. Please call (847) 312-9057 or e-mail pianotuning@sbcglobal.net if you have questions, or to make an appointment. Weekend appointments are available.